New Era and FSAS, What a Combination!With the Famous Stars and Strap Fastbreak hat you can look the part with minimal effort at all times, so why wouldn't you want to wear this design? Complete with an adjustable snapback design, you won't have to worry about this cap fitting onto your head no matter how humungous it may be. 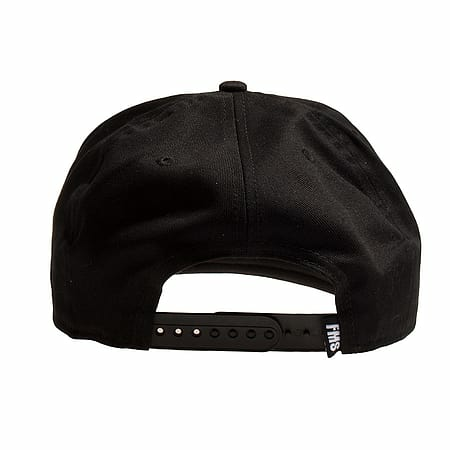 Completely covered in logos from FSAS and New Era, theres no question about this designs authenticity! Benefitting from New Era's innovations, this Famous Stars and Strap Fastbreak hat is designed with all of the features you look for in your headwear. With resistance to colour fading, shrink protection and moisture management to boot, its difficult to understand why you're still reading and not buying! Complete Every Style With a New Era and FSAS Blend! The Famous Stars and Strap Fastbreak hat benefits from an awesome collaboration between two brilliant brands, the combination of FSAS urban designs and New Era caps innovations makes for an exciting design! 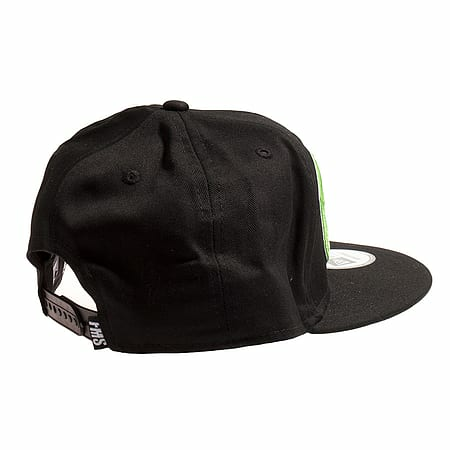 The contrasting green logo on a black canvas fabric ensures a stand out accessory that never fails to draw attention.Known for minimising odour, the Famous Stars and Strap Fastbreak hat is ideal for the hot sweaty summers that we Brits always seem to miss; it couldn't hurt to have it though, just in case! The embroidered design of the FSAS logos ensure that they do not come off at any point, giving you excellent long term value for your money. Famous Stars and Straps are known for their urban edge when it comes to their designs; this has helped them gain popularity in the motorsports industry, eventually resulting in their involvement in the industry itself.